Decorative landscaping rock, stones and pebbles come in a wide variety of textures, colors, and sizes and make any garden look fantastic. Western Materials offers a wide variety of basic and premium decorative pebbles for all types of landscaping applications. 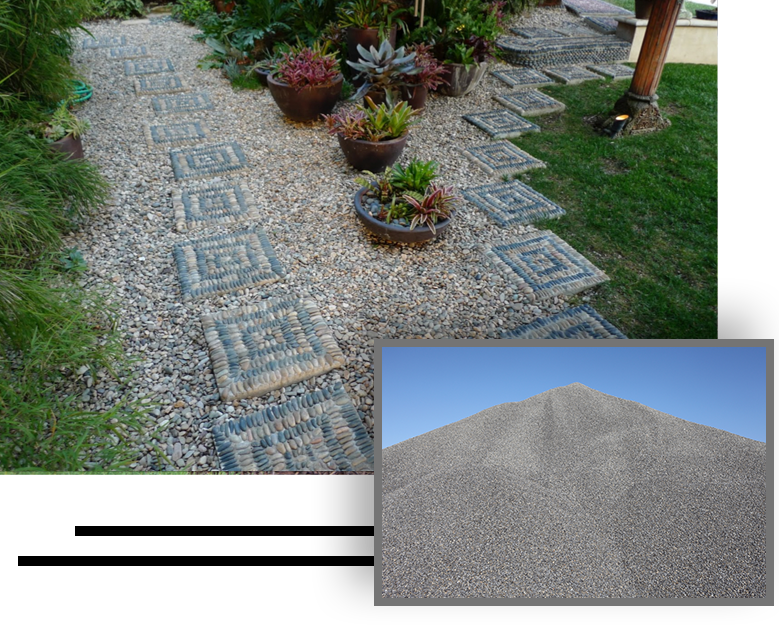 Decorative rock and pebbles are becoming more and more popular with the continuing drought conditions in Southern California and are a definite must have in any modern water smart yard. Some of the more popular pebbles Western Materials offers include river rock, gold, white, multi-color, del rio and Mexican beech pebble. We also offer special order polished smooth Mexican pebble. The most common size is the 3/4 -1 inch size but there is other sizes such as 3/8 inch and 1.5 inch. Feel free to CONTACT US if you need to place an order, or if you have any other questions regarding decorative landscaping rock solutions. We will be glad to hear from you!